BOWDOINHAM – Angelia B. Despres, 82, of Bowdoinham passed away peacefully on Tuesday February 23, 2016 in Augusta. She was born on April 2, 1933 in Richmond, Maine the daughter of William S. and Emily (Larlee) Nichols. She was married to Joseph L. Despres. She worked as a cook at a nursing home. Angelia was predeceased by her parents, William and Emily Nichols; her husband, Joseph L. Despres; sisters, Laura Reynolds, Ruby Zakowski, and Iris Dube; and a brother, Donald Nichols. DRESDEN – Mary A. (Oursler) Leighton, 86, of Dresden, Maine, passed away peacefully at her home on Sunday, February 21, 2016, surrounded by her loving husband of 53 years and her two sons and daughter-in-law by her side. She was born on March 22, 1929 in Oakland, Maryland, the daughter of Marshall and Florence (Poe) Oursler. Mary lived in Pennsylvania and Maryland for many years before moving to Maine. She was a fun-loving, spirited woman who loved entertaining and cooking for friends and family, gardening and being active in her church. She was predeceased by her parents, Marshall and Florence Oursler; a sister, Elizabeth Hoover; a daughter, Shelia Hemmig; a grandson, Ian Howard; and a great grandson, Austin Hendricks. WISCASSET – Faye W. Smith, 69, of Wiscasset died on Thursday, February 11, 2016 at her home. She was born on November 5, 1946 in Saco, Maine the daughter of Bernard A. and Lucille L. (Woodward) Backman. Faye loved the outdoors, and feeding the birds. Some of her favorite things to do were fishing, and camping at Cathedral Pines in Eustis and Townline on Damariscotta Lake with her husband, Donald, and family. 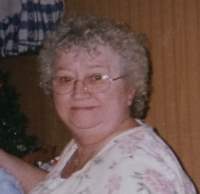 She also loved reading books, especially historical romances, and being with her grandkids. Faye also had a special spot in her heart for her dogs: Sam, Shadow and Bella. They brought great joy to Faye and Don. She worked at Shaws in Brunswick and Bath for 15 years serving in many capacities. She then went on to work for Gardiner Savings Bank in Wiscasset for many years. 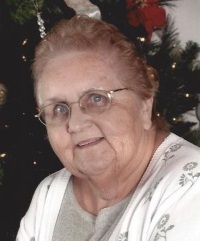 W. GARDINER – Pauline A. Bodge, 82, of West Gardiner and longtime resident of Richmond, passed away on Sunday February 14, 2016, with her family by her side. She was born on March 12, 1933 in Campton, NH the daughter of Hiram and Arlene (Wilson) Smith. Pauline spent most of her life in Richmond and attended Richmond schools. On November 10, 1954 she married Robert Bodge Sr and together they settled in Richmond where they raised their six children. Pauline was a member of the Richmond Senior Citizen Group, as well as the Dresden-Richmond United Methodist Church. 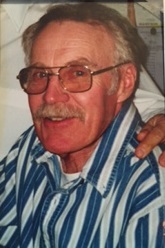 LITCHFIELD- Emile A.Patenaude, age 69 of Litchfield , died unexpectedly at his home on February 9th, 2016. He was born in Lewiston September 1st, 1946. He was educated in Lisbon Maine. He played every sport and excelled in all. He later joined the Marine Corps on May 31st of 1966, did one and a half tours of Vietnam, was wounded and received a Purple Heart for his patronage. Emile worked many years at Bath Iron works. He greatly enjoyed spending time outdoors. Emile loved playing the guitar, playing pool, archery, hunting, fishing, and flea marketing. A man of good character, with a light-hearted nature, he enjoyed laughing and creating memories with family and took great pride in his grandchildren, often times taking them hunting and fishing. He will be greatly missed. He is survived by his wife Carol Patenaude; children, Brian and wife Tonia, John, Kristen and husband Richard, and Karen; sister, Rita; and many grandchildren. He was predeceased by his mother Ida and father Alphie, and his brother Alphie. A time of visitation will take place on Saturday, February 13th from 4pm to 6pm at Kincer Funeral Home, 130 Pleasant Street in Richmond. FREEPORT – Gary Wayne Fogg, 73, of Freeport died on January 27, 2016 at Freeport Nursing Home. He was born on April 16, 1942 in Bath, the son of Amanda Phoebe and Raymond Cecil Fogg. Gary attended Wiscasset High School. He grew up in Alna. Later he enlisted in the United States Air Force in 1963. After his discharge from the Air Force he went on to work at Healthtex and dug worms. 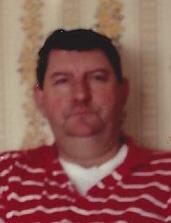 Roger L. Gotlibson, 79 of Woolwich, ME died suddenly on January 23rd at Maine Medical Center surrounded by his family. He was born on November 13, 1936 in Colfax, Wisconsin. A member of the Coastal Carvers and Harpswell Carvers as well as a past member of the Maine Woodcarvers Association. He was also a member of the Fleet Reserve Association and the American Legion. Roger enjoyed his animals, especially his beloved mini horse, Dodger. Spending time outdoors was his passion. Canoeing, fishing, snowshoeing and snowmobiling. He loved to be at his camp and loved woodcarving. He was a tinker of all trades. But most of all Roger loved being with his family and spending time with friends. Richmond-John W. Miodini, 70, of the Ferry Rd. Passed away on January 19, 2016 at his home. He was born in Astoria, N.Y. on August 20, 1945 the son of Louis and Lillian Miodini. John attended schools in the Bronx Area and graduated school at Theodore Roosevelt H.S. In the Bronx, N.Y. In 1963. He proudly served his country in the United States Army during the Vietnam era. John moved to Maine in 1972 and worked for Holtman Brothers and then on to BIW for 26 years working in the tin shop, until illness forced his retirement. John was a member of the Richmond American Legion post 132. He was an avid outdoorsman. He loved to hunt and fish especially in Northern Maine. John enjoyed cooking , reading and fishing at Nesowadnehunk Lake in Baxter State Park. John was seldom seen without a dog. He had a great love and compassion for his dogs. He was predeceased by his two wives Kathleen and Teresa Miodini. John is survived by his dear friends Geoff and Ruth Ragsdale of Richmond and Sereno and Cyndie Brown of Boothbay. At John's request there will be no funeral services. Arrangements are under the care of Kincer Funeral Home 130 Pleasant St. Richmond, Me 04357. BOWDOINHAM – Vala T. Kotow, 51, of Bowdoinham died on Friday January 8, 2016 at her home. She was born on January 11, 1964 in Gardiner, Maine, the daughter of Nicholas and Vera Kotow, sister of Eva Pickett, brothers Russell and Nicholas Jr. Kotow, an aunt to Alex Jr. and Steven Griatzky, Toby Cross, and Jonathan and Katie Kotow. After graduation from Mt. Ararat High School she attended the University of Maine at Orono and received a Bachelor of Science degree in Education with High Distinction in 1988. She worked at Bath Iron Works doing drafting and electrical design. 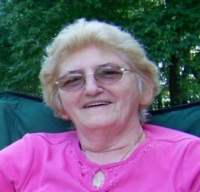 RICHMOND – Betty C. Moore, 73, of Richmond passed away peacefully on Wednesday January 6th, 2016 at Hospice House in Auburn after a short battle with cancer. She was born on August 22, 1942 in Eastport, Maine, the daughter of Lewis and Millicent McPhail.